This Friday evening, September 21, 2018 at the Collegian Court in Chicopee from 7 to 10 pm, the Valley Jazz Divas will perform as part of the Blue Cube Jazz, Special Event and Buffet. 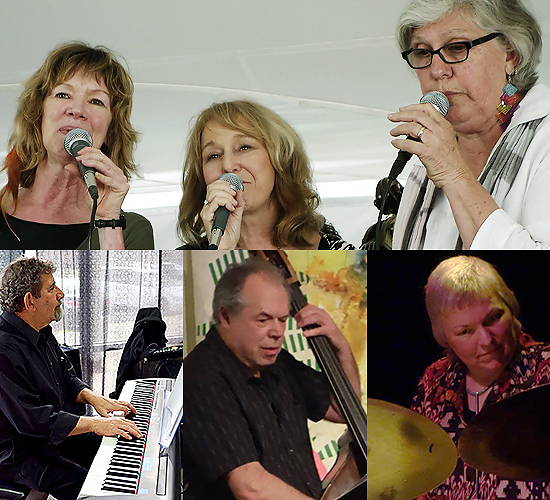 The Valley Jazz Divas with Barbara Ween, Jill Connolly, Carol Abbe Smith – vocals, will perform with the Green Street Trio – Paul Arslanian – keys, George Kaye on bass and Claire Arenius, drums. This is a special ticketed event with buffet and requires tickets in advance and reservations. Check with Collegian Court if you just want to hear the Divas and company perform without attending the special event and buffet. To learn more, visit the website below and click on Events. This entry was posted in Gigs on September 21, 2018 by barbarajween.